Happy Easter ! You're Inspiring Easter Card. Easter is upon us! It is this weekend, we have daffodils everywhere at the moment and I am loving their beautiful yellow trumpets heralding in the Spring. 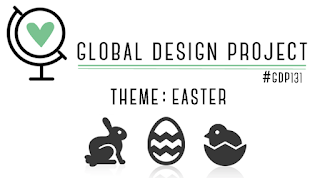 Over at the Global Design Project #131 this week the challenge is Easter themed. I love to play along with the Global Design Project, you can see what the awesome Design Team came up with for this challenge here and all the entries too. Do play along, It's great fun and really simple to add your link. 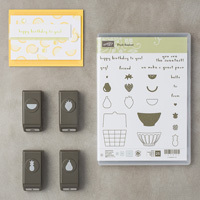 This stamp set is perfect for an Easter card though it has Happy Birthday, Mothers Day and Kind Thoughts sentiments too. This one I have made in Pool Party Card. I have stamped the daffs along the bottom in the matching Pool Party ink for a tone on tone effect. I have cut the oval from a scrap of Whisper White card using an Oval Stitched Shape Framelit and stamped the same image again in Black Memento. The daffodils are coloured in with Daffodil Delight and Old Olive Stampin Write Markers. I have added some Wink of Stella to my daffodils. Here is my You Tube video of how I made it. I made one in Daffodil Delight! I hope you like the video. Do give me a thumbs up and subscribe if you do. I added some of the Pool Party Shimmer Ribbon to this one and some of the pretty Daffodil Delight Double Stitched Ribbon to my Daffodil Delight Version you can see in the video. Do drop back in to see what I will be making next. You can subscribe to my blog for more crafty inspiration by clicking the subscribe button in the side bar. I hope you have enjoyed the Saleabration posts so far and that I may have given you a little crafty inspiration. If you would like to take advantage of the free products don't leave it too long. Saleabration ends on March 31st - Everyone who orders from me online receives a hand made card and a small hand made gift. Don't forget to use the hostess code when you checkout to get an added gift from me when you place an online order. Eclipse Card With Springtime Foils. Go For Greece Blog Hop! 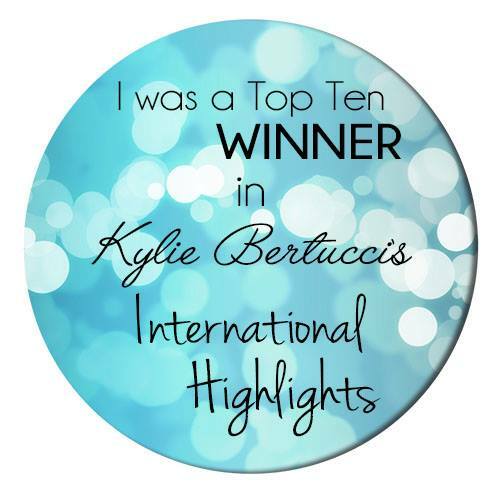 Welcome to Kylie Bertucci's Go For Greece Blog Hop! I am so excited to be part of this blog hop! There are so many talented crafters in this group, I can't wait to see what everyone comes up with! We are at the last week of Saleabration! The clocks changed on Saturday giving us more daylight, Spring is in the air and we have just a few more days until Saleabration ends on the 31st. So for this blog hop I thought it was fitting to bring you an Eclipse card made with Springtime Foils Papers, and this cute bee from Dragonfly Dreams. This kind of card is so effective and yet far simpler to put together than it looks. The card base is A4 Pear Pizzazz card stock cut in half at 14.8 cm and scored in half at 10.5 cm. The layer is the Silver and Gold Foiled Springtime Foils DSP. 14.3 cm x 10 cm. I have simply coloured the leaves in with a marker in Pear Pizzazz. I took my inspiration from a card I made before with the same technique. Here is the You Tube video showing how easy it is to make. I hope you like the video. Please give me a thumbs up and subscribe if you do. You can also subscribe to this blog for more crafty inspiration by clicking the subscribe button in the sidebar. How cute is little bee! 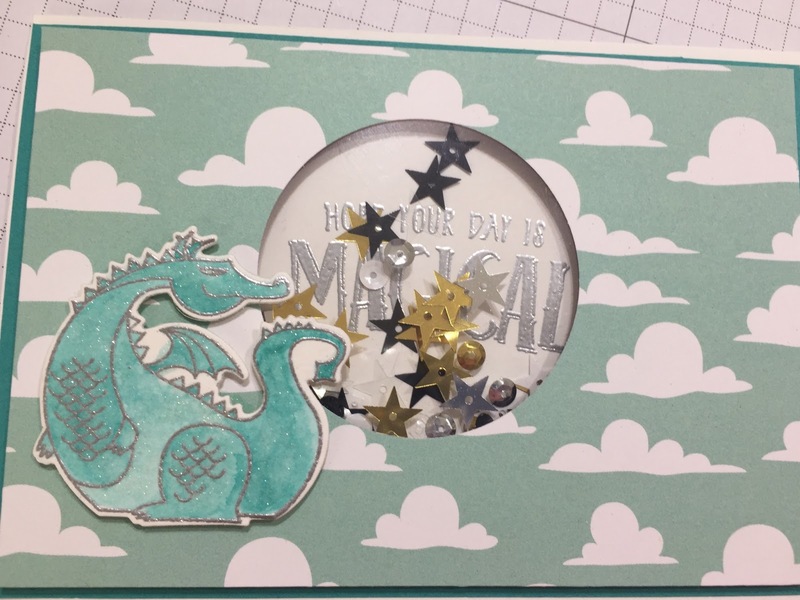 I have stamped and die cut him from the Dragonfly Dreams stamps and Dies, and added some Wink of Stella to give him a little sparkle. I hope you like my Spring inspired card. 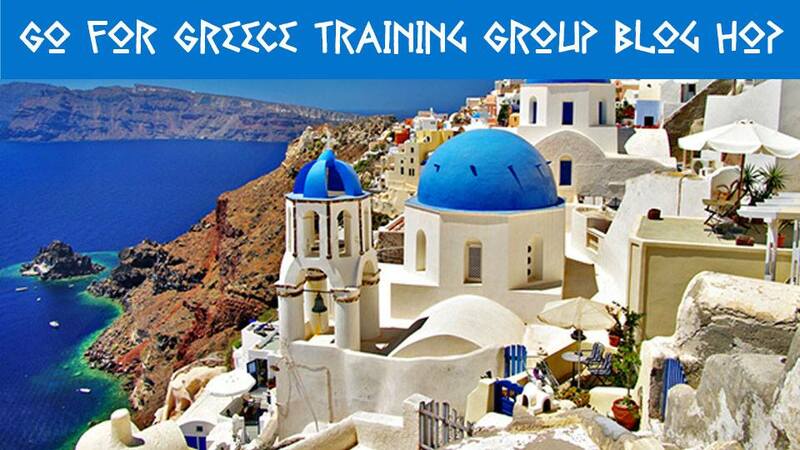 Do hop around and see what the rest of the Go For Greece Group have come up with! We have only about 3 days left of Saleabration! It has been fabulous and I have loved all the free products on offer . We have had a whole new range of Saleabration items added just last week. If you would like to take advantage of the free products don't leave it too long, Saleabration ends on March 31st. 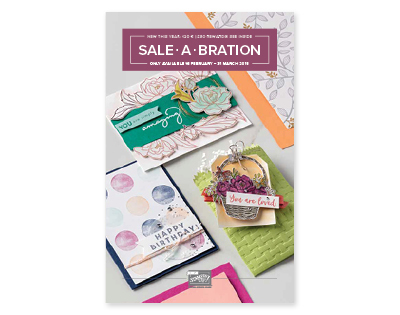 Sale-a-bration Sunday #12. Bringing in Spring with Dragonfly Dreams and Springtime Foils! Bringing in Spring! Dragonfly Dreams and Springtime Foils. Wow we are at the last week of Saleabration! The clocks changed yesterday giving us more daylight, Spring is in the air and we have just a few more days until Saleabration ends on the 31st. So for my last post in this series I thought it was fitting to bring you this gorgeous card made with Springtime Foils Papers, paired with Dragonfly Dreams. These are foiled speciality papers. They come in a pack of 12, 12x12" sheets. 4 designs, 3 of each. They are foiled in a Silver, Rose Gold , Silver and Gold. I have used the paper with Silver foiled stripes for my layer and the paper with Gold spots to cut out the dragonfly. Do you see the ombre inking on the paper? It is so easy to do. The emboss resist technique wiht no heat embossing required! Here is my You Tube video of how I did it and also a neat trick with my label punch! If you like the video, please give me a thumbs up and subscribe. I used sentiments from the stamp set Dragonfly Dreams for the front of and inside my card. If you have been following my weekly Saleabration posts, counting down to spring, phew! we made it! and have had lots of fun crafting along the way with all the gorgeous Saleabration items we have had. If you have just found me, welcome! Have a scroll back .I hope I can inspire you. We have only about 6 days left of Saleabration! It has been fabulous and I have loved all the free products on offer . We have had a whole new range of Saleabration items added just last week. I hope you have enjoyed the Saleabration Sunday posts so far and that I may have given you a little crafty inspiration. If you would like to take advantage of the free products don't leave it too long. 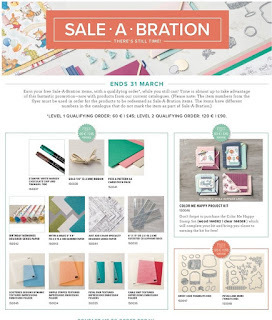 Saleabration ends on March 31st - Everyone who orders from me online receives a hand made card and a small hand made gift. Don't forget to use the hostess code when yo checkout to get an added gift from me when you place an online order. All the products used are shown below with clickable images to my online shop. 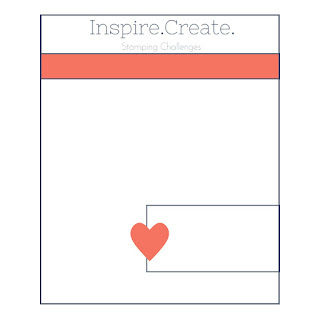 Inspire Create Challenges #014 Epic Celebrations! Welcome to the Inspire Create Stamping Challenge! 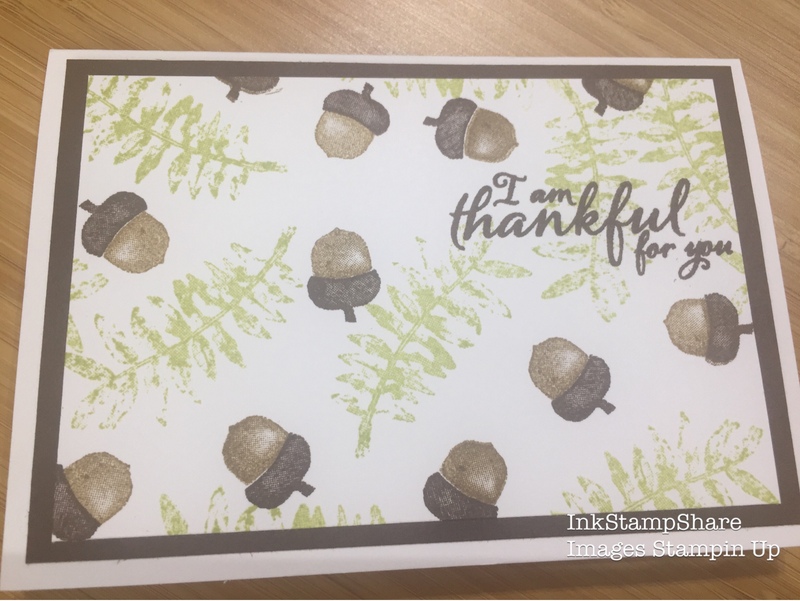 Every fortnight we have a new challenge, this time it's a sketch challenge and I have used the Epic Celebration Stamp set. I love a sketch challenge. It's fun to see that given the same sketch we all come out with such different cards. I am looking forward to seeing what the rest of the Design team have come up with. We have the very talented Kylie Bertucci as Guest Designer with us this week! Do pop over and have a look, HERE you can see all the other entries and join in too. I hope you do, we would love to see what you come up with! We have a birthday in our house this week! One of our boys is turning 11. How did that happen?! so I thought the Epic Celebration stamp set would be perfect for this. We have three children in the house and many pairs of converse so it seemed very fitting. I have used the Colour Theory as the background in my card in Dapper Denim and stamped with the Converse image also in Dapper Denim to give a water mark effect. I have used the reverse side pattern of the same DSP for this one. It is like a crackle glaze and quite effective. Which one do you like? You can see that stamped the DSP on this one too.It is more obvious on the whiter parts of the paper. I have embossed the Converse image using Dapper Denim ink and clear embossing powder and added a couple of Glitter Enamel dots in Dapper Denim. I have cut the "Celebrate" from the silver foil card using another set free with Saleabration. The Celebrate You Thinlit Dies. The Happy Birthday sentiment was stamped in Dapper Denim, punched using the classic label punch and attached to the Celebrate using Dapper Denim Bakers Twine. The card base is A4, scored at 10.5 cm and cut at 14.8 cm. The Whisper White layer is 14.3 cm x 10 cm. The DSP layer is 9.5 cm x 13. 8 cm. I can't quite believe my youngest is turning 11! I think he will love his card. He loves coming into my craft room and messing about with ink and paper too. Here are all the products I used in my card with clickable links direct to my online shop. The weather has been unseasonably cold here over the last couple of weeks. It was my youngest's birthday yesterday and we woke up to a covering of snow. We have never had snow around his birthday before! I am definitely in need of some warmth and sunshine! With that in mind, it was time to bring out the Painted Harvest stamp set for Coffee and Cards today. Those gorgeous sunflower images certainly bring that feeling of summer! This set is brilliant. It is simple to use and makes a gorgeous card. It is lovely paired with some birthday sentiments like this one here from the Picture Perfect Party stamp set. This is a simple one layer card I made for coffee and cards but you can easily step it up and make something like this card set . Paired here with the Bundle Of Love Papers and clear acetate boxes. Add some burlap and it's done! I also used this set at Christmas to make some really pretty Christmas cards. The sunflower makes a lovely wreath and the little "seeds" stamps work well in Real Red for the holly berries. Again, a clean and simple card but just lovely. Quick to whip up a whole batch of too. Just add some Real red card stock. You can stamp onto candles too. The Painted Harvest stamp set is perfect for this. You can stamp some tissue paper, tag and wrap in cello for a pretty gift. There is the cutest little acorn stamp in this set too. I hope you have liked seeing some examples of what can be done with this set. It's so useful to have in your stash and can be used for lots of occasions. 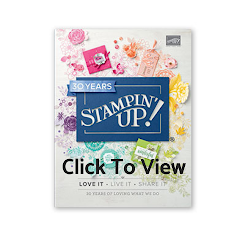 If you would like to purchase this stamp set, her is the clickable link that will take you to it in my online shop. 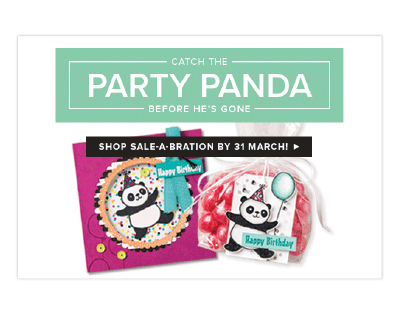 Sale-a-bration Sunday! #11 Eclectic Expressions ! Eclectic Expressions stamp set. Three ink pads, one stamp set. The possibilities are endless! Saleabration runs for 12 weeks until March 31st which takes it right up to British Summer Time on March 25th marked by the clocks going forward bringing in the lighter evenings. It's nearly here and I am SO looking forward to that but in the mean time we can craft the winter away. Win/Win! 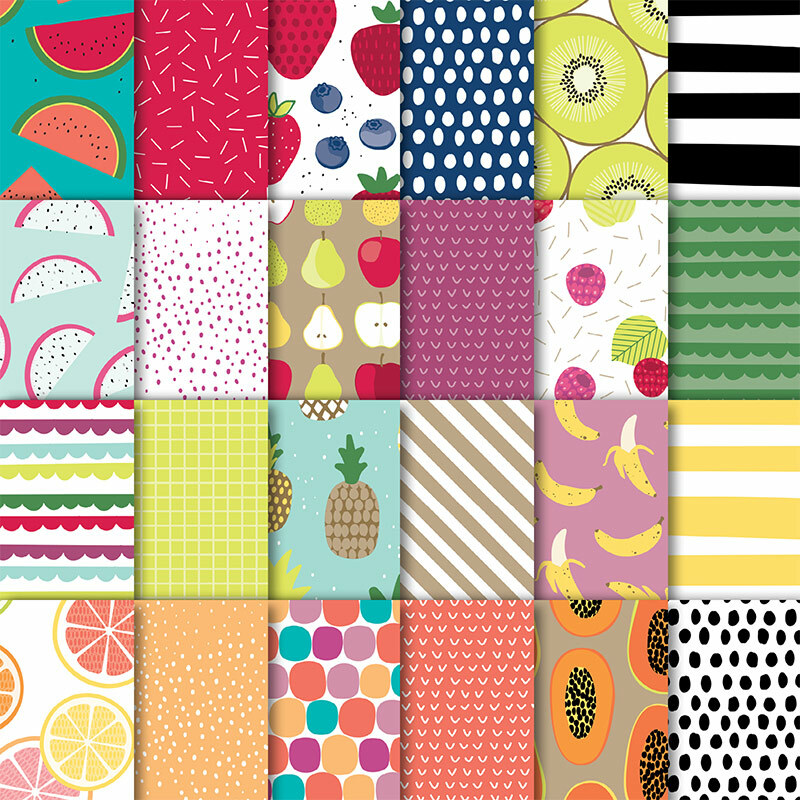 This fun stamp set is full of fab background images. 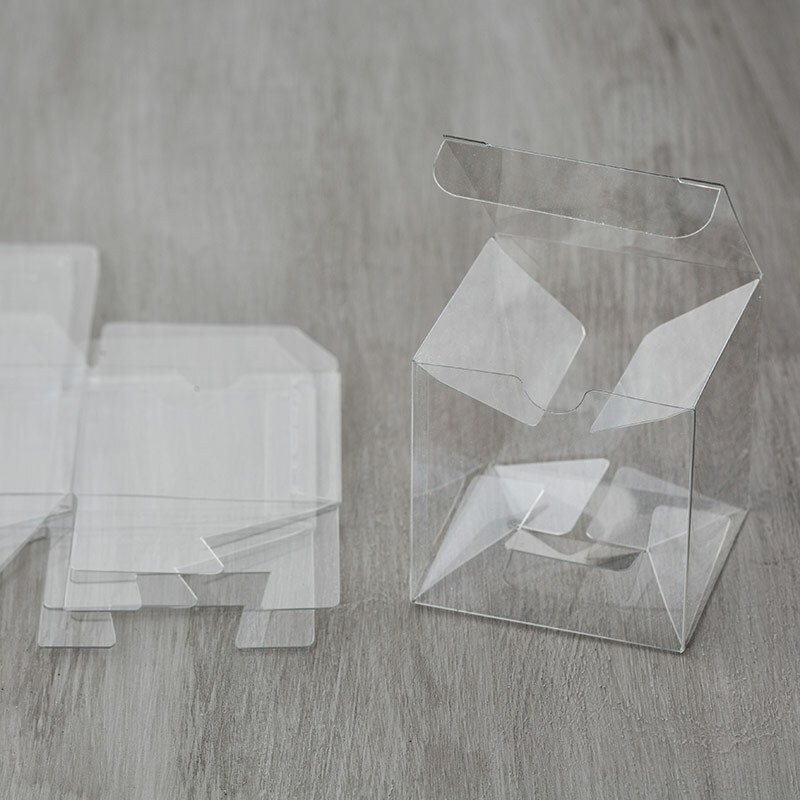 Perfect for making clean and simple cards suitable for lots of occasions. I have used the circle images here. They give a water colour impression and are very pretty. Change up the colours, the background stamp and the sentiment from the set to make as many different cards as your imagination allows! I have used Sweet Sugarplum, Dapper Denim and Flirty Flamingo. 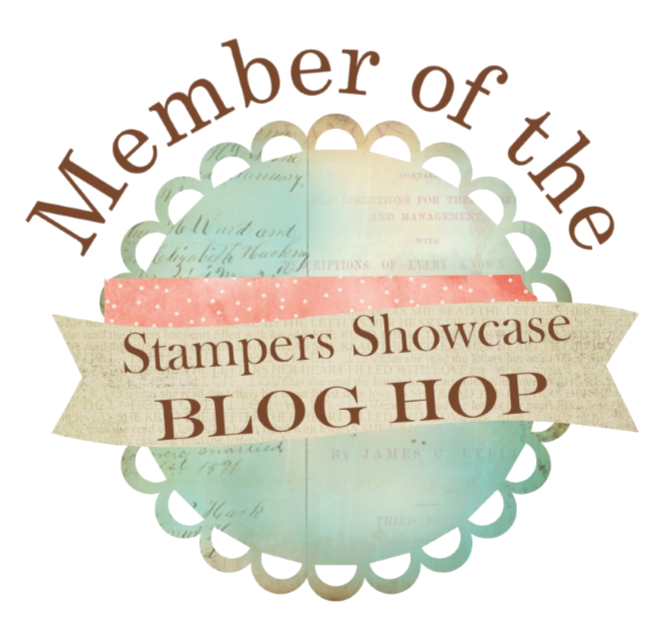 Three of the five Stampin' Up! 2016 - 2018 In Colours. The card layer is Dapper Denim card stock, as is the 2 1/4 inch circle. The striped ribbon is in Sweet Sugarplum. These colours along with Peekaboo Peach and Emerald Envy will be retiring at the end of May to make way for a brand new set of In Colours! So if you have these or would like to have these colours make sure you stock up before they retire. Retiring In Colours do sell out towards the end of the selling period especially the ink refills for your ink pads and card stock - and of course if you do stock up before the end of March you can claim your Free Saleabration items! including these Eclectic Expressions stamps. I hope you like the video. If you do, please like and subscribe. It is so easy to rustle up a clean and simple card with this set. It has both Happy Birthday and Thank You sentiments too. 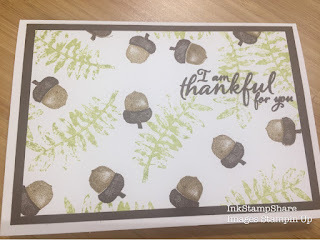 I have used the same colours in the Stampin' Write Markers to colour on the striped stamp and stamp the image. We have only about 2 weeks left of Saleabration! It has been fabulous and I have loved all the free products on offer . We have had a whole new range of Saleabration items just this week. Do drop back in to see what I will be making using Saleabration items until March 31st. Treat Boxes, What Will You Put In Yours?! We all like a treat now and again don't we? Especially if it is really prettily wrapped. I made some of these as table gifts for my class attendees yesterday. They are very easy to make and you can put any treat you like inside! I used the Tutti Frutti 6 x6 Paper Stack . These punches are adorable. I love all things mini and they punch out all the little fruit images in the stamp set. I used them on this card too. You can decorate two treat boxes with just one sheet of 6 x 6 DSP. Cut each sheet into 1.5 inch strips. One of them wont be long enough to make a complete belly band so adhere the ends of two together to make one long strip. Keep your join on the underside and wrap your DSP Belly Band around your filled assembled box. When you know where the creases are going to be, use your bone folder to make them sharp. At the top, trim off the excess and adhere. 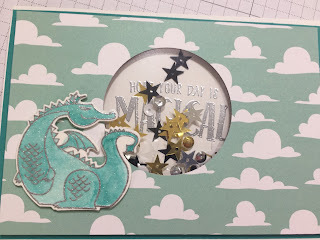 Using the 2 1/4 inch Circle Punch, punch a circle out of coordinating card stock. Using the 2 inch Circle Punch , punch a circle out of DSP. I have stamped my sentiment onto Whisper White card, punched out using the Classic Label Punch and adhered to the top using Dimensionals sticky foam pads. I have finished it off by stamping some strawberries , punching them out and added them to the top of my treat boxes. Simple! Mine were filled with Strawberry sweets but you can put anything you like in yours and decorate to match. They would make great table favours for any type of party or wedding table. I always like to make a little hand made table favour for my class attendees as I really appreciate them. They loved them too. I run my Card and Paper Craft Class locally every month and everyone is welcome. Just click on the button in the menu bar at the top for details. There was a lot of inky fun and laughter at last nights class. We have just a couple of weeks left. Saleabration ends on 31st March.